Restored 1981 Honda CBX Motorcycle. This stunning Honda was fully restored by its owner. The paintwork was professionally finished in the correct silver. The rolling chassis was painted in gloss / satin black as per the original. The original comstar wheels were refurbished. New wheel bearings (including the rear sprocket carrier) were fitted. The brake calipers and master cylinders were rebuilt with new seals. New steering head bearings were installed. A new wiring harness was fitted. An exact replica exhaust system was fitted. The fasteners and brackets were zinc plated throughout. The primary and cam chains were replaced. The crank cases, cylinders and head were vapour blasted. The valves were lapped and adjusted. The alternator was rebuilt with new bearings, seals and brushes. 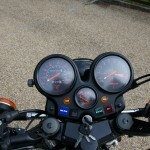 The handlebar switches were refurbished. 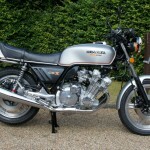 An exceptional restored Honda CBX1000Z Motorcycle. 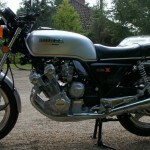 Honda CBX1000Z – 1981 For Sale or Wanted? If you're looking for the perfect Honda CBX1000Z – 1981 for sale then take a look at the hundreds of restored classic motorcycles listed on our extensive Motorcycles For Sale pages. 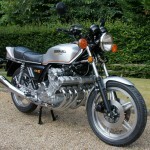 We regularly feature very nice restored Honda CBX1000Z – 1981 bikes for sale. 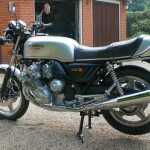 Spares and Parts for your Honda CBX1000Z – 1981? 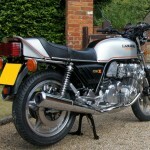 Workshop Manual for your Honda CBX1000Z – 1981?